Your DGB for today is to help the victims of the Waffle House shooting. 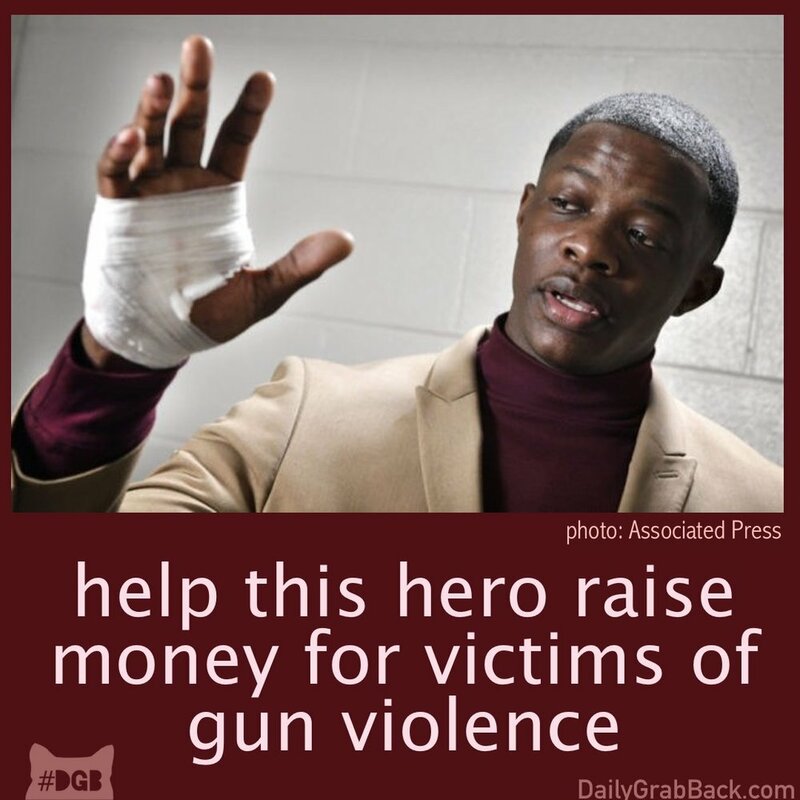 James Shaw Jr. is a national hero and single-handedly stopped the man who shot up a Waffle House in Tennessee. Not only did he prevent even more tragic deaths from happening, but Shaw also started a GoFundMe account to raise money for families who lost four beautiful lives in the tragedy. He has surpassed his meager goal, but we at DGB want to make sure the families of Joe R. Perez, age 20, DeEbony Groves, age 21, Taurean C. Sanderlin, age 29, and Akilah Dasilva, age 23, are well taken care of. To know more about the lives of the victims and their families, read here. To donate to their memorial fund, go here. Shaw is honoring the victims and there’s a way you can honor and thank him in turn. Yashar Ali started a GoFundMe to start a college fund for Shaw’s four year old daughter. You can donate to that fund here. Knowing there are people like James Shaw Jr in this world warms the cold dark recesses of our DGB heart. We need more people like him. And funny… the only thing that stopped a bad guy with a gun, was a great guy without one. That’s not the narrative the NRA has been feeding us.